There’s no need to park in the mountains when the rock climbing is right at your doorstep. 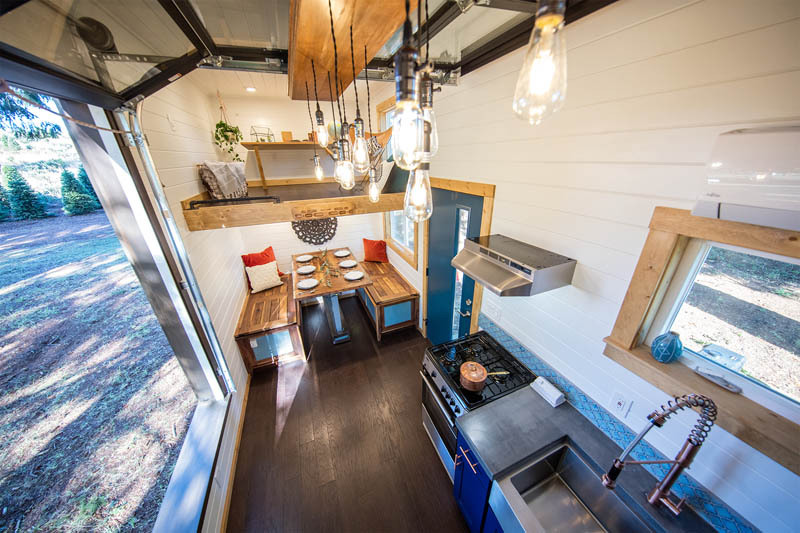 At least that’s what the team at Tiny Heirloom figured when they set out to design a tiny home for an intrepid couple looking to take adventure on the road. 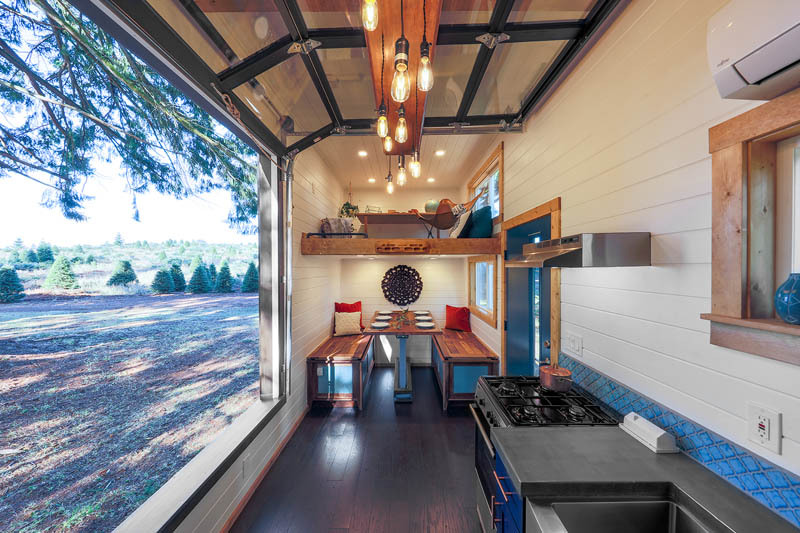 The Portland, OR-based company combined two of the things its clients enjoyed most – fitness and being outside – into a 250-square-foot, custom-built home, said Jason Francis, creative director and co-founder at Tiny Heirloom. 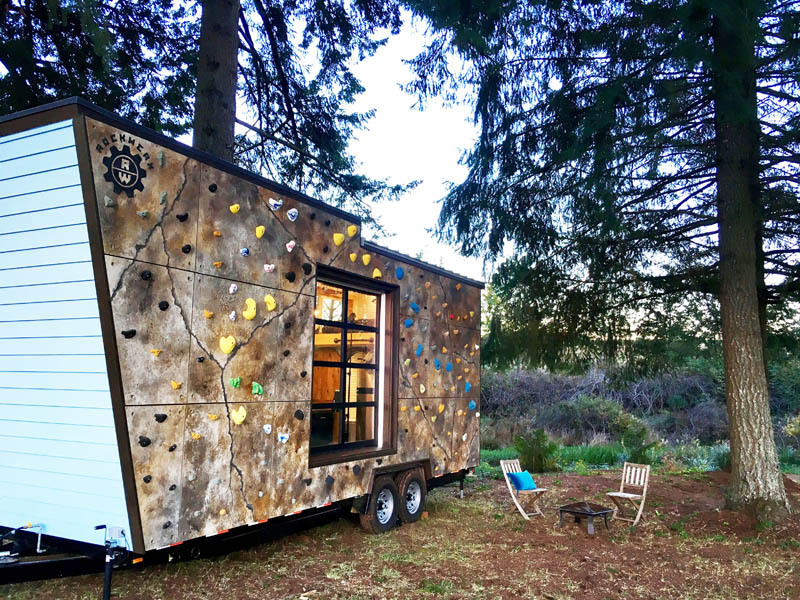 The idea for a tiny home with a bouldering wall came from organic brainstorming, Francis said. His team added some rich design elements, including a roll-up garage-style glass door, to bring the outdoors inside. The couple intends to use the place as their primary residence. 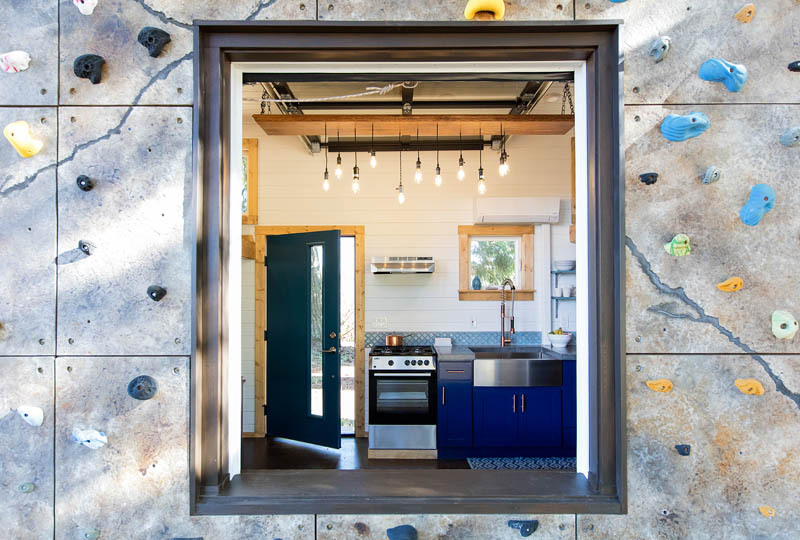 The home cost about $145,000, but $35,000 of that went to building the custom climbing wall. 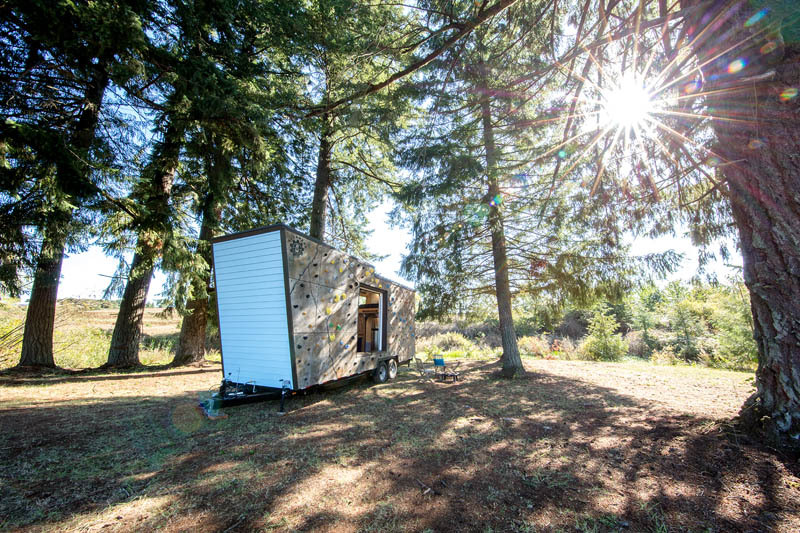 The home is 24 feet long and 13 feet tall, providing plenty of room for outdoor climbing. The bouldering wall is on one side of the home, and the handholds can be reconfigured to change up the climbing route. One side has a traditional entryway, while the other has the roll-up door to provide expansive views of wherever the home is parked. The living space contains two lofts: one with an office and the other with a bedroom. Designers hung a chandelier made of Edison bulbs between the two. 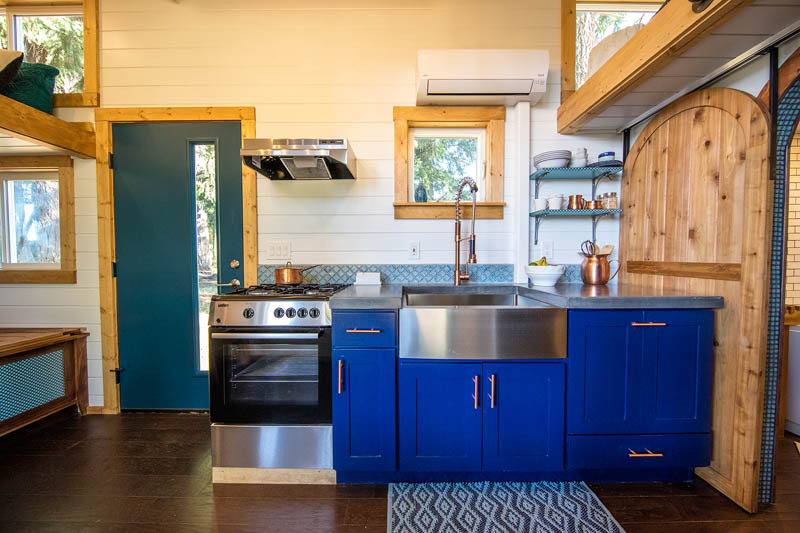 The kitchen features a farmhouse sink and full-sized oven. The cabinets are a rich blue color with brass accents. There are two open shelves above the countertops. The home also contains a dining space with bench-style seating that doubles as storage. 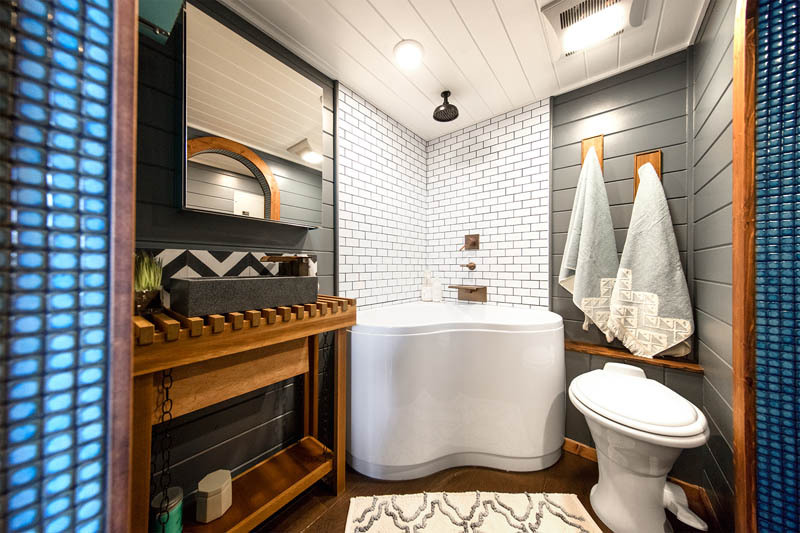 An arched blue-tile doorway leads to the bathroom, which has a full-sized soaking tub, white subway tiles and a rainfall showerhead. 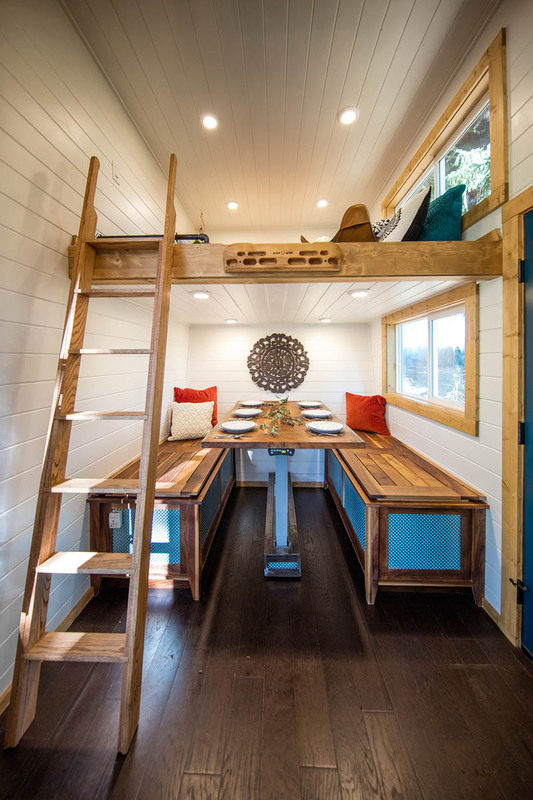 After completing the tiny home and sharing it on social media, Francis said they’ve had a number of inquiries about building similar spaces for clients. Photos courtesy of Tiny Heirloom. 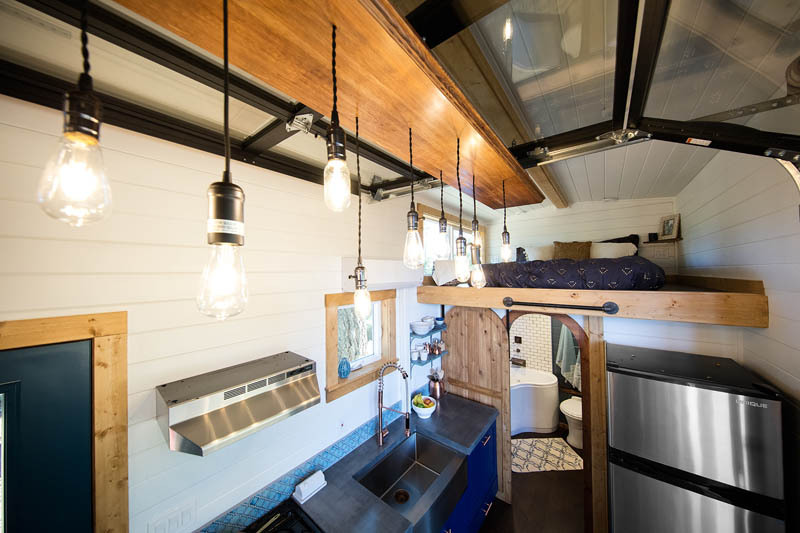 The post You'll Be Climbing the Walls of This Tiny Home – House of the Week appeared first on Zillow Porchlight.